Something happened to the LARSONMEDIA.NET yesterday, shortly after I posted nr 245. Above is the "empty" front page where the menue (except 'About Us' and 'Contact') is not diplayed. The text on the front page is way down below. 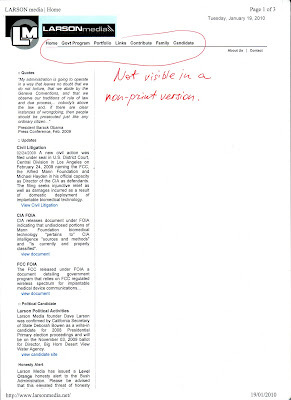 The two scans show the front page before I posted here and the corrupted version, except the menue is visible on the printout, but of course, not functional. 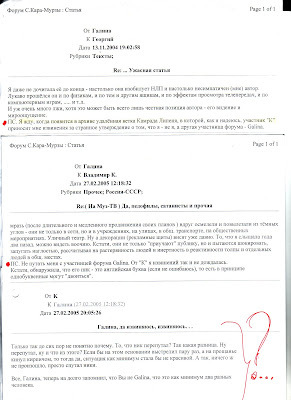 The top scan is from the RUSSIAN FORUM, where in two of my posts (13.11.2004 and 27.02.2005) I write Post Scriptum, actually complain, that "K" had not yet apologized for confusing me with another woman (Galina from Israel). 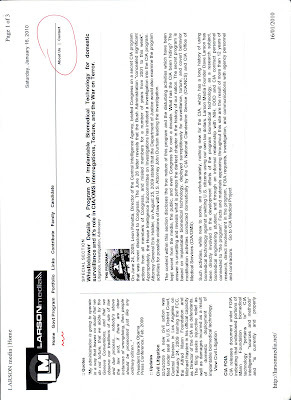 The post below is from K to me dated 27.02.2005 with the apology, which, as I read it now, sounds actually threatening. Curiously enough, a nice person (a Good Samaritan) lived with his family in Gosport opposite me and I could see "K - House" from my window. Of course, the Gosport man knew nothing of the far-fetched coincidence. One of those things.